Home Energy Services You Can Trust! At Pipe Works Services, we understand that a home’s maximum energy efficiency is not achieved from one specific service alone. Instead, home energy efficiency is achieved through a comprehensive solution that combines the best in home insulation, air sealing and HVAC maintenance that doesn’t break the bank. That’s why we train our team of service technicians to be well-rounded in all aspects of the home’s energy sources. Since 2000, we have built our reputation as one of Northern New Jersey’s most trusted experts for home comfort and efficiency. Improving the overall comfort and energy efficiency of your home is our #1 priority, and we believe we are the best. What sets us apart from other home energy contractors is that our team undergoes continuous extensive training that is unmatched by anyone in the industry. 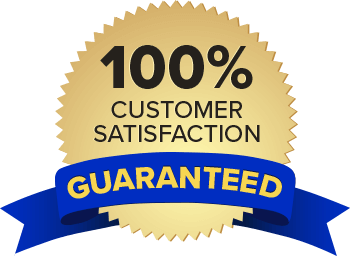 As Northern New Jersey’s authorized Dr. Energy Saver dealer, you can rest assured that we will perform the job right the first time around! We offer our services throughout Morris, Essex, Somerset, and Union counties in such towns as Chatham, Madison, Summit, Basking Ridge, Florham Park, Short Hills, Berkeley Heights, Millburn, New Providence, Millington, Union, and more. "This company is first class! Put in a new high efficiency..."
"Realized there was a leak in the ~20 year old hot water..."
"Ken was great and very informative." "Tim Bock was very professional and explained the process,..."
"I have been working with Pipe Works for many years and I..."
"Kevin Jensen did a great job, as usual. He always does a..."
Does your air conditioning system feel like it's not working like it should be? The HVAC experts at Pipe Works Services can help. We can repair and maintain all makes and models of air conditioners and heating systems. Most homeowners are not aware that simple maintenance is the key to having an efficiently running air conditioning system. At Pipe Works Services, we are big into properly servicing and maintaining your home's cooling system to ensure that your AC system runs as long as possible. If you are thinking about replacing your existing AC unit, Pipe Works Services offers a variety of air conditioning systems ranging from central air to ductless, and more. Get an air conditioning service consultation today! Inspections and cost estimates for all work! Since 2000, the plumbing, HVAC, and insulation experts at Pipe Works Services have been the go-to contractor for all home energy and comfort needs for homeowners in Northern New Jersey. We are committed to providing you with the best services possible. With our extensive knowledge of plumbing, HVAC, insulation and more, it's easy to see why homeowners prefer us for their home energy needs. Contact us today for a home energy consultation in Northern New Jersey. We serve towns including Chatham, Madison, Summit, Basking Ridge, Florham Park, Short Hills, Berkeley Heights, Millburn, New Providence, Millington, and surrounding areas in Morris, Essex, Somerset, and Union Counties. Pipe Works Services is an authorized dealer of Mitsubishi Electric. Click here to learn more.